Ghent and Antwerp universities joined Leuven nanotech research centre imec for a test yesterday to see if “smart” cars could avoid accidents by communicating with each other. The test was carried out along the E313, which runs southeast from Antwerp to Hasselt and beyond. 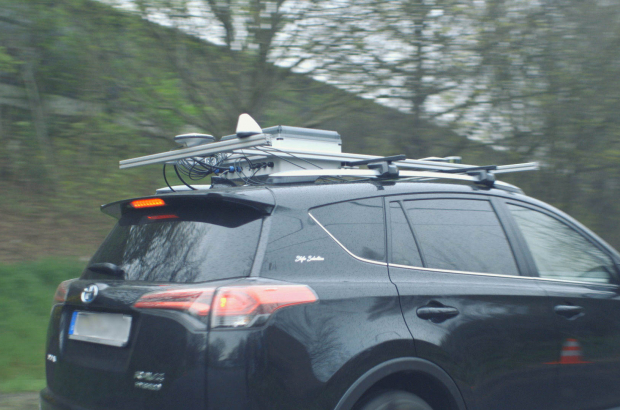 Imec’s “Smart Highway” technology is meant to prevent chain-reaction crashes that occur, often along motorways, because cars can only see what the car in front of them is doing and not beyond that. Drivers then react too late, causing multi-car pile-ups. The researchers outfitted two cars with technology that allowed them to communicate with each other. They then drove them down the motorway with a normal car in-between. Radio transmitters were also placed along the side of the road to communicate with the two vehicles. When the vehicle in the front suddenly put on the brakes, this was communicated to the third car, which responded automatically. The idea is to use the data in the development of self-driving cars. Smart Highway is supported by €3.5 million from the government of Flanders and is being carried out with partners involved in the European Concorda project. The end goal of the projects is to develop self-driving technology that will drastically reduce auto accidents and motorway deaths.